Brett DeGooyer, DO, is a sports medicine physician, joining Dr. Leo Chough and Chris Stone, PA-C, on Samaritan Healthcare’s orthopaedic care team. Whether an injury or medical concern occurs in the workplace, the home, or while participating in sports or recreation, Dr. DeGooyer’s active approach to healing can help. 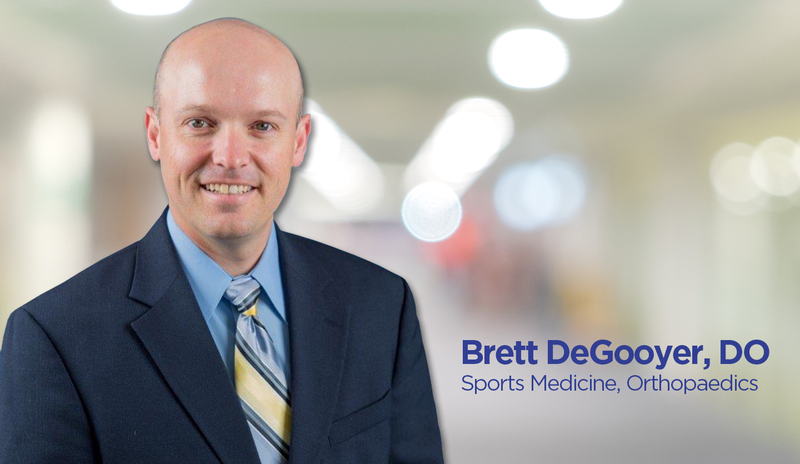 Dr. DeGooyer was fellowship trained in sports medicine, which provides a higher level of knowledge and expertise, and he has a wide range of professional experience in caring for patients of all ages. He is dedicated to providing state-of-the-art care for patients at Samaritan. Dr. DeGooyer offers a wide range of care for injuries that do not require surgery. He is also fluent in Spanish, which allows him to connect and communicate with more patients.